Herban Planet, LLC Jul 14, 2016 Can marijuana kill you? The short answer – YES. But, this does not mean that if you smoke marijuana the chances of dying are already high. Marijuana had a bad reputation because some authorities claim that it is hazardous to your health in more ways than one. This is actually ironic, given the fact that there are many places where marijuana is legal and given as a prescription for various health problems. Many, however, oppose its use as a recreational drug. This is in spite of the fact that it is organic, unlike other drugs that are laden with toxic chemicals. Can marijuana kill you? The short answer – YES. But, this does not mean that if you smoke marijuana the chances of dying are already high. In fact, the amount is ridiculously high, which is why many are actually not worried that smoking pot will kill them. Marijuana overdose can be real, but still subject to great debate. There is one thing that is clear – to have marijuana overdose, you must take insatiably high amount of weed, which is almost not realistic for smokers. 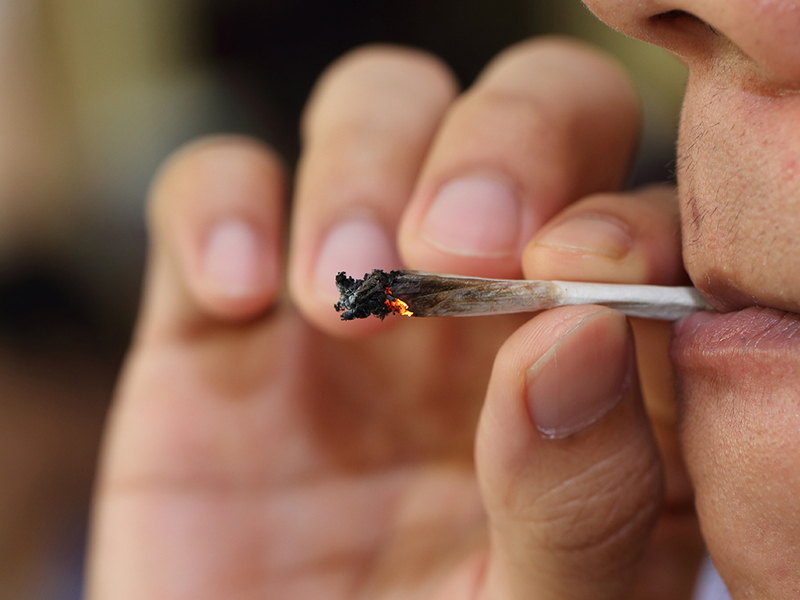 It is believed that you should be smoking up to 240 joints of marijuana before you can suffer from an overdose. More so, in one administrative law hearing in the United States, it has been revealed that you have to consume 20,000 to 40,000 as much marijuana as what can be found in a stick of cigarette. To have a lethal reaction, you must smoke 1,500 pounds of weed in just 15 minutes. From these numbers, it is obvious that yes, overdose is possible, but no, it won’t likely happen to you. As a recreational drug, it is almost impossible to get past through this threshold, unless you are out of your mind to actually smoke as much as such. Good news for you, marijuana smokers! It is not likely that you will die. Marijuana overdose is actually almost impossible to happen, so as death from such. THC, the drug that is present in marijuana, has always been asserted to be not deadly. In some cases wherein people die from marijuana, it was not linked to overdosing. Rather, it was associated with existing health conditions or the use of other drugs. The potency of THC is very low, and hence, a lot of it needs to be ingested before one can die from such. However, according to German scientists, marijuana can actually kill you. There were two subjects who can prove this, at least as claimed by the scientists. Based on post-mortem examinations, the scientists claimed that their heart started beating fast or slow after the use of the drug, which they asserted as the reason for the death. This, however, does not have any scientific basis. They were not able to prove that use of marijuana alone can be fatal. Marijuana, when used responsibly, can bring a wealth of benefits. Overdosing is an issue that has long been brought up by those who oppose marijuana. However, even if you look at statistical data and scientific studies, it is apparent that overdosing is not likely to happen, as well as death resulting from smoking marijuana.